This spark resistant 1 inch aluminum hasp made by Master Lock holds up to 6 padlocks and is designed to be used in lockout/tagout systems in compliance with the OSHA 1910.14 standard. 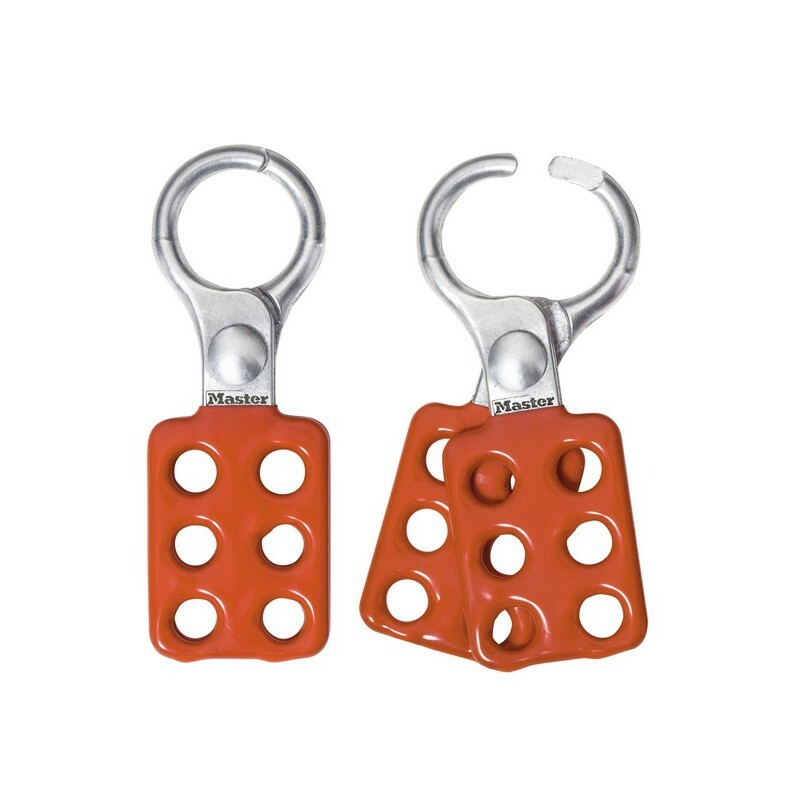 The hasp is made of vinyl-coated steel and will accept padlocks with shackles up to 3/8" in diameter. 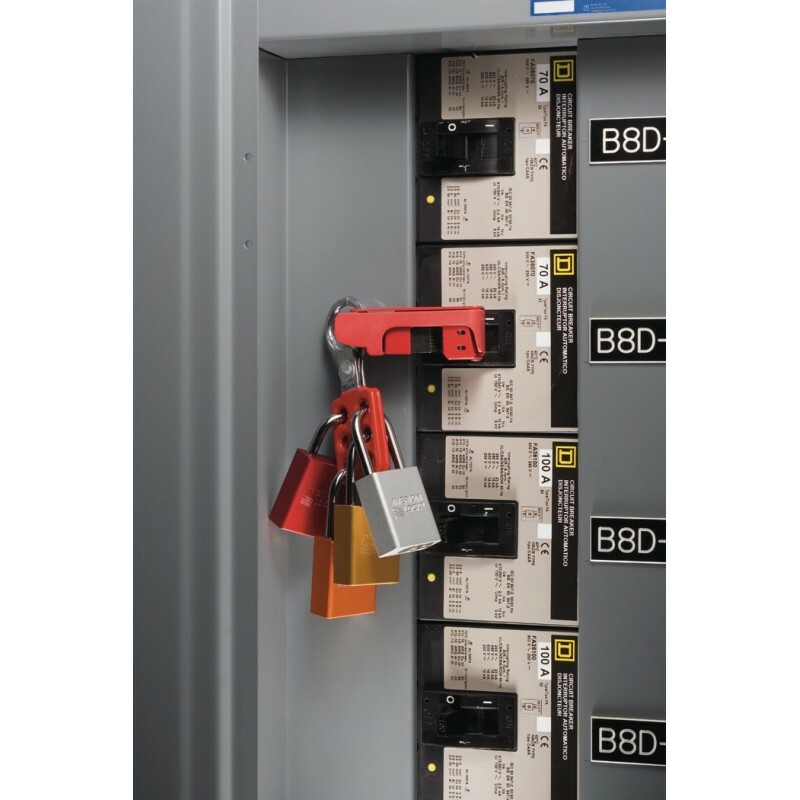 This hasp is for use as part of a lockout-tagout (LO/TO) safety procedure required at facilities where a device or energy source needs multiple-person authorization to be accessed safely. When used according to manufacturer's recommendations, this product is covered by a limited lifetime warranty against defects in workmanship or materials.